An authentic piece of Italy, right here in the County. The perfect place to enjoy the company of friends, to socialize, and to unwind. The Presque Isle Inn & Convention Center features 6 banquet & functions rooms. A seasonal nightclub, open Saturdays, from September to May. The Presque Isle Health & Wellness Center helps accomplish health & wellness goals. Situated at the entrance of Aroostook County's largest city, the Presque Isle Inn & Convention Center is Northern Maine's premiere destination for lodging & hospitality for business travelers, families, vacationers, snowmobilers & ATV riders, and all other visitors to the area. We are conveniently located on U.S. Route 1 in Presque Isle and are within easy walking distance of the University of Maine at Presque Isle campus.We are only 3 miles from Northern Maine Regional Airport (PQI), served by Pen Air and just 10 miles from our sister hotel, the Caribou Inn & Convention Center. We are centrally located near many of the Outdoor Sports Institutes facilities, including the Big Rock Ski Resort, Nordic Heritage Center, & Quoggy Jo Ski Center. Aroostook County's largest full-service hotel, the Presque Isle Inn & Convention Center offers 111 newly appointed, comfortable guest rooms and spacious two-room extended-stay suites. Our extensive conference facility can accommodate everything from intimate meetings to large-scale special events. The Presque Isle Inn & Convention Center is home to Gram Russo's Italian Restaurant, the finest Italian-American dining experience in Northern Maine. In addition, Frankie's Lounge is a comfortable cocktail bar offering a quiet place to relax, socialize and unwind. The Connection, the area's hottest weekend nightclub, features great local live music and DJs. Guests looking to maintain their exercise routine will appreciate our on-site fitness facility, the Presque Isle Health & Wellness Center. We invite you to rate us! 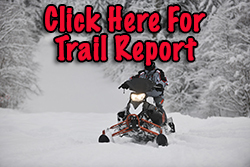 for the latest trail conditions!